Now that I turned almost all of my main colour, Fée Violette (= Violet Fairy), into a shawl body, I need to get my ideas straight on how to work the border. At first, I intended to knit a plain garter stitch border. But, a lacy leave short row border is calling me. Knitting swatches is my nemesis. I do not like it at all. Nevertheless, that’s the best way to test and tweak your patterns. So here come the swatches. 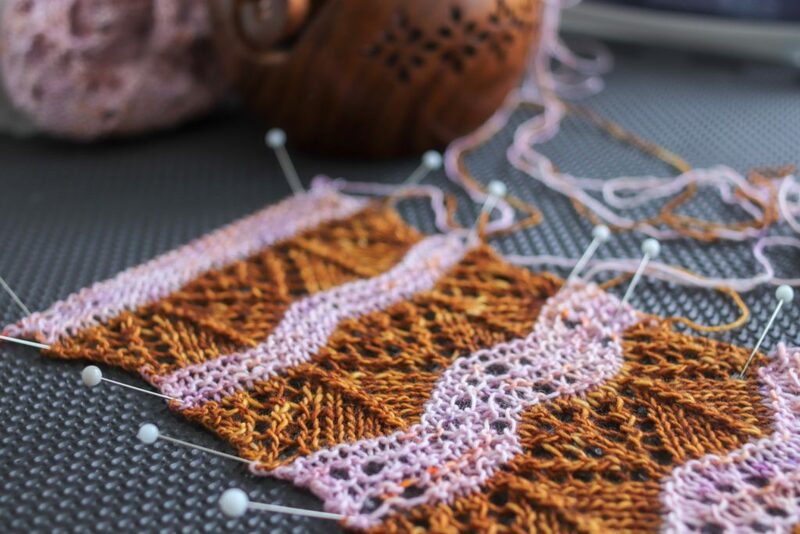 I tested and tried several variations of a stitch pattern that I really like. The lace itself is really simple. I like simple stitch patterns, easily remembered to allow you (and me!) to knit it while watching a movie or attending a knit night with friends. Knitting should not give us headaches, am I right? 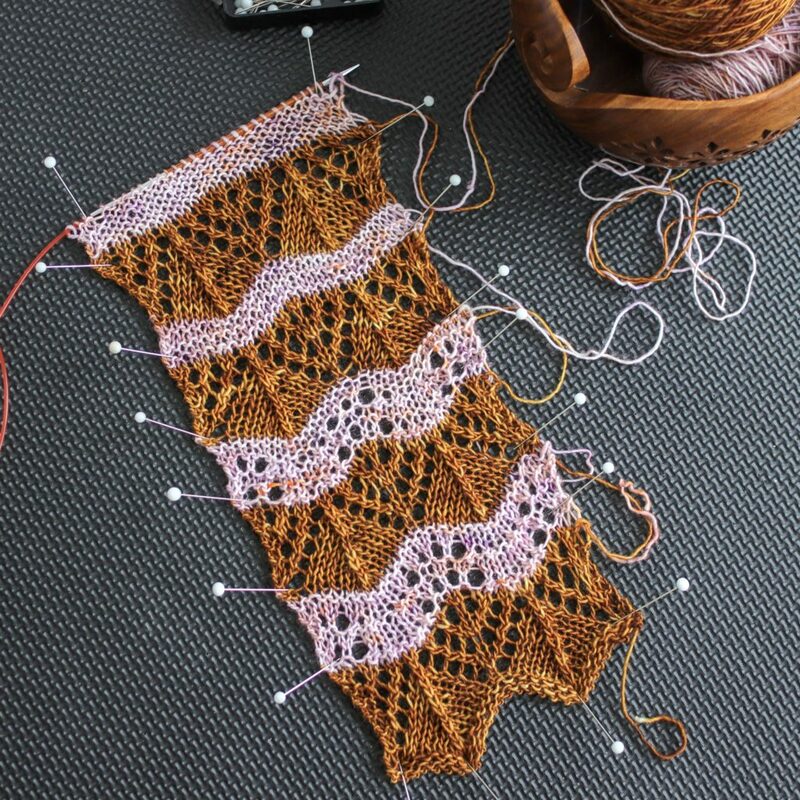 I’m not settled yet on which variation I’ll choose between a garter or a stocking stitch main colour stripe. I may need to sleep on it before deciding on it. I’m really looking forward to see how it will turn out at the end. Don’t you?